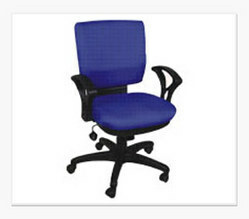 Leading Manufacturer of medium back computer chair, office computer chairs and low back computer chair from New Delhi. 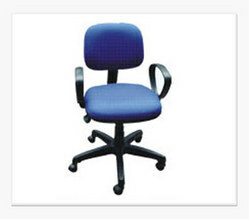 We are engaged in manufacturing and supplying superior quality Low Back Computer Chair. 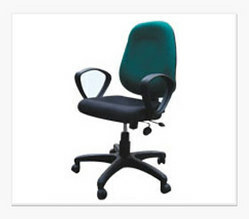 The optimum quality raw material is procured from the renowned vendors of the market to manufacture these Computer Chair Low Back in compliance with the set industry standards and norms. Economical, compact and comfortable Computer/Staff Chair. Specifications: Low Back Plastic Arms PU Foam 26" Nylon Base Push-Back Mechanism Gas-Lift Fabric Tapestry Seat size-18"x18" Back size- 16"x12"
Looking for Computer Chairs ?